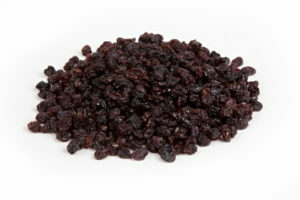 The first batches out of new crop South African Currants are now arriving in the factories and being sampled. The berry count is affected and slightly higher then normal and could be even as small as up to 1600 berries per 100g. This is due to the drought which produced berries which are smaller or lighter resulting in a higher berry count per 100 gr then normal years. It is still early days and more merchandise needs to be sampled and selected. It may improve as the first product is coming from the orchards more affected by the drought than the product being harvested now. Fact is that volumes available for export will be reduced significantly if berry count is not adjusted.